This Ramadan, Parkroyal Hotel Kuala Lumpur will be recreating the taste of authentic street food at its Chatz Brasserie with the Hawker Temptations Ramadan feast. Prepared by sous chef M. Maniam, who has over 10 years of experience under his belt, diners will get to savour traditional favourites synonymous with the month of Ramadan. ‘We have a different theme every year, but we decided to go with “Hawker Temptations” this year so that people can enjoy Malaysian hawker food in a nice setting,” said Maniam. Some familiar dishes that is sure to bring back memories are bubur lambuk (porridge cooked in herbs and spices) and ayam percik (grilled chicken in spicy sauce), prepared with love and passion, the way our mothers and grandmothers used to prepare it at home. The chicken is slow roasted in spices until tender and juicy. “There will be four rotating menus throughout the promotion, featuring various goodies that are sure to bring back sweet memories,” said Maniam. The delectable spread will also include a selection of ulam and kerabu. Maniam recommends the Telur Itik Masak Lemak (duck egg cooked in coconut milk) as well as the Buffalo Kurma. Other main courses to look out for are the Udang Galah Goreng Mamak, fried with Indian spices for an aromatic burst of flavours, and the Ikan Duri Masak Berlada. Those with a sweet tooth can rejoice as the buffet promises a wide array of sweet indulgence. 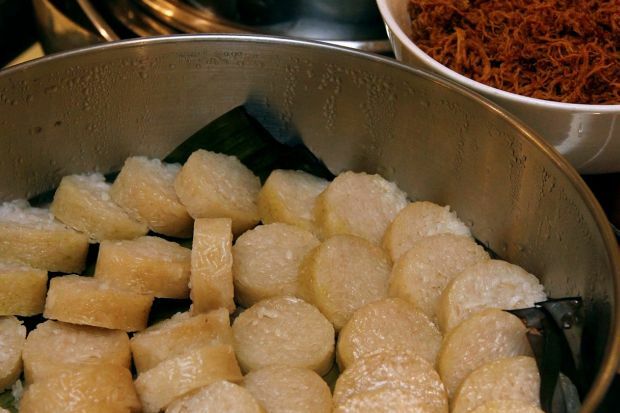 “There will be about six to eight different types of traditional Malay kuih every day during the buffet, such as ondeh-ondeh, lepat pisang and kuih talam keladi,” Maniam said.